A rendering of a maglev train in the Maryland countryside. Rush hour traffic and working within 50 miles of your home could soon be so passé. In the commute of tomorrow, you may be able to float from one major city to another in one hour or less. That's because a group of private investors is seeking to do what the federal government has been trying to pull off for years: bring super fast trains to the United States. One working plan calls for 300-mile-per-hour train that floats on magnets to run from downtown Washington, D.C., to Manhattan. The train, faster than anything currently in operation, would make the trip in about an hour -- or nearly three times as fast as Amtrak's Acela service. "You could live in Baltimore and commute to New York City faster than you could from Connecticut," said Wayne Rogers, head of Northeast Maglev, the group championing the project. "It changes real estate prices, how people live, where they work. It really changes the world." The train itself is built around a Japanese technology known as magnetic levitation. Instead of wheels riding along a rail, maglev uses powerful, electrically charged magnets to suspend the train midair inside a U-shaped guide rail built on either side of the track. The magnets both lift the train and propel it forward, with the reduced friction being responsible for the train's super speed. While it sounds like the stuff of sci-fi, the technology itself has actually been around for over a century. The Japanese have had a test track running for years, and the Chinese currently operate a similar, though less advanced train from the Shanghai airport to just outside the city. But it's expensive. 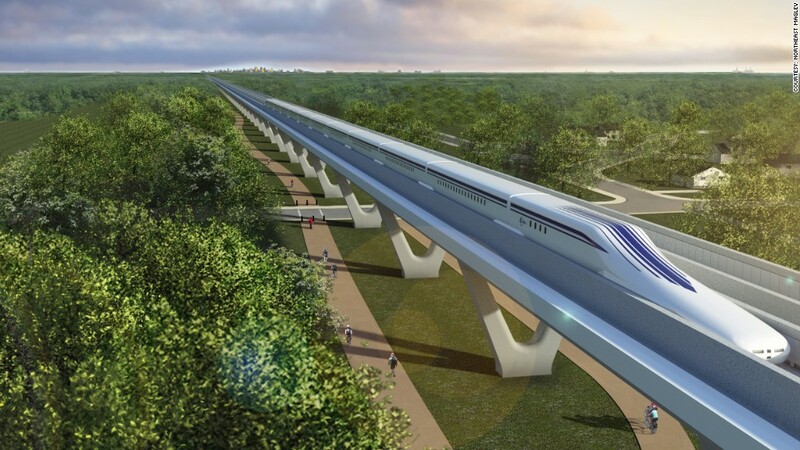 Northeast Maglev estimates the New York to D.C. route could cost over $100 billion. Much of the money would be spent on tunnels and elevated track necessary in such a densely populated area -- possibly tunneling under cities and then running over or adjacent to Interstate 95 in more rural areas. So the group is starting small, aiming to construct a 38-mile section from the Baltimore airport to downtown D.C. within the next 10 years. With funding from U.S.-based private investors, they've already spent $40 million on the engineering and have applied for permits from the state of Maryland. They've been promised $5 billion in funding from the Japanese government -- which is keen to export the technology -- and plan on raising the rest of the money through the private capital markets. They've also enlisted some powerful backers. Former Pennsylvania Governor Ed Rendell, former New York Governor George Pataki, and former Senate Majority Leader Tom Daschle all sit on the board. 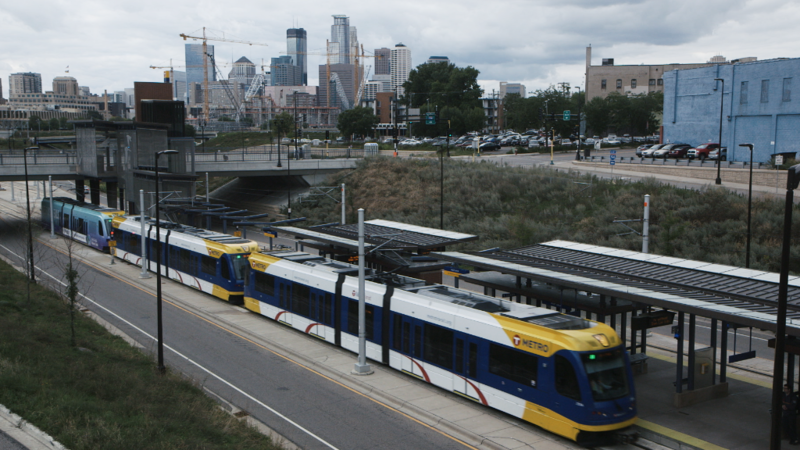 Despite the strong backing, plenty are skeptical the train will actually get built -- with permitting, rights of way and money being the main hurdles. After all, there have been several proposals for high speed lines, and none have materialized. "It's almost pie-in-the-sky," said Ken Orski, publisher of the infrastructure industry publication Innovation NewsBriefs and a former transportation official in the Nixon and Ford administrations "It won't happen in my lifetime." The federal government has allocated over $10 billion for high speed rail -- much of it part of the 2009 stimulus package -- but less than half of that has actually been spent. California took $2 billion for its high speed train, but major construction has yet to start. Most of the rest has gone to incremental improvements to existing rail lines. A second high speed proposal from the private sector may soon break ground in Texas. This plan calls for a more traditional bullet train (think wheels and rail, but with speeds over 200 mph) running from Dallas to Houston. The trip could be made in 90 minutes as opposed to the three-and-a-half hours it currently takes by car or one hour by plane. The group promoting it -- Texas Central Railway -- says fares would be similar to those of a flight, but minus the hassle of getting to the airport and checking in. 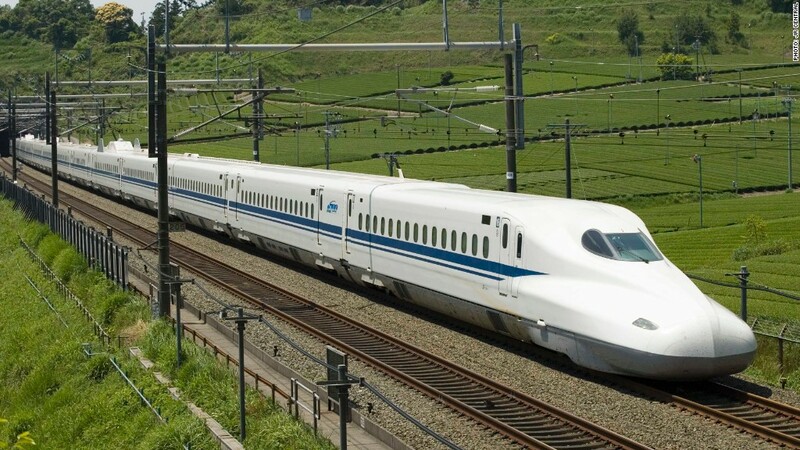 The Japanese bullet train proposed for Texas. The feasibility work is done and the group has applied for most of the permits. They hope to secure additional private funding and break ground by 2017, with commercial service starting in 2021. What makes this project more likely is that it's using a technology that's been in commercial operation for over 50 years, is connecting two heavily populated areas over an empty, flat middle ground, and has a relatively modest price tag of $10 billion. What makes it interesting is that conservative Texas could get high speed rail -- typically a dream of the Left -- even before New York or California.